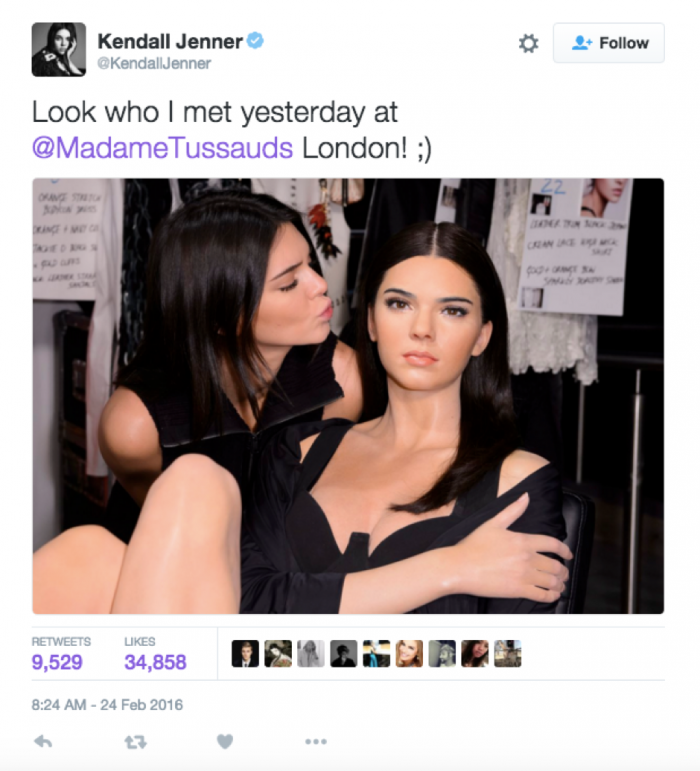 As if we need another reason to differentiate ourselves from our favourite megastars, this article shows how ordinary people are just not playing the social media game as impressively as celebrities. Perhaps the only similarity between us when it comes to social media is the fact that we use it. Like for like, follow for follow? Your favourite celebrities are confused as to why you have to hashtag that in your photo captions. For them, gaining 100 times the number of likes we ordinary people typically get on our photos is probably faster than them having to say ‘Instagram’. 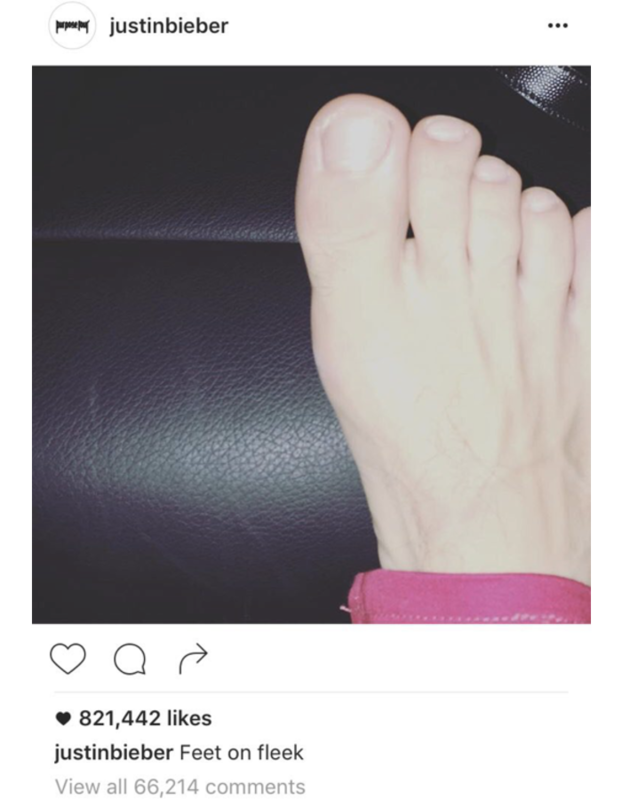 We realise that life is unfair, because a picture of Justin Bieber’s foot can gain 800k likes and a picture that you posted of the magnificent fireworks display behind Cinderella’s castle at Walt Disney World gets only 60 likes. If I should post a picture of my foot, optimistically, I would only get one like (from my best friend, out of pity and moral support). I would definitely get dislikes if it were a thing. On Twitter, we see the same thing happening. A tweet by Martha Stewart which the whole world (and probably even Martha Stewart herself) can’t comprehend has been retweeted over 6000 times and liked over 4000 times. This is my attempt of tweeting something deep and thought-provoking and getting one like, which already is more than what I normally get (or should I say, don’t get). Looks like the blue bird isn’t in my favour. Oh well. We often use social media as a platform to announce to the world what we have been doing with our lives. Celebrities too, do the same. However, there seems to be some difference in the content that we tweet with regard to our casual daily activities. My life doesn’t seem to rule as much anymore, does it? If you follow celebrities on Snapchat, you will see that some of their accounts are verified, with an emoji beside their name as a symbol to show so. For ordinary people, what we have beside our names is a blank space of emptiness and nothingness. This is something that bugs me. If I could, I would love a cute emoji beside my name as a form of self-expression. Personally, I would go with the upward pointing arrow emoji as an inspiring reminder of the direction I hope to head in life, but unfortunately, that emoji has already been taken by a famous band called One Direction. Only celebrities could get the whole Internet into a frenzy over little things that they have done. It could be something as crazy as attacking paparazzi, or something as simple as getting a hair cut. No, seriously. A recent event that took Twitter by storm and caused millions of people to nearly lose their sanity and get a heart attack was when Harry Styles of One Direction, who is famous for his curly locks, posted the following picture on his Instagram page. 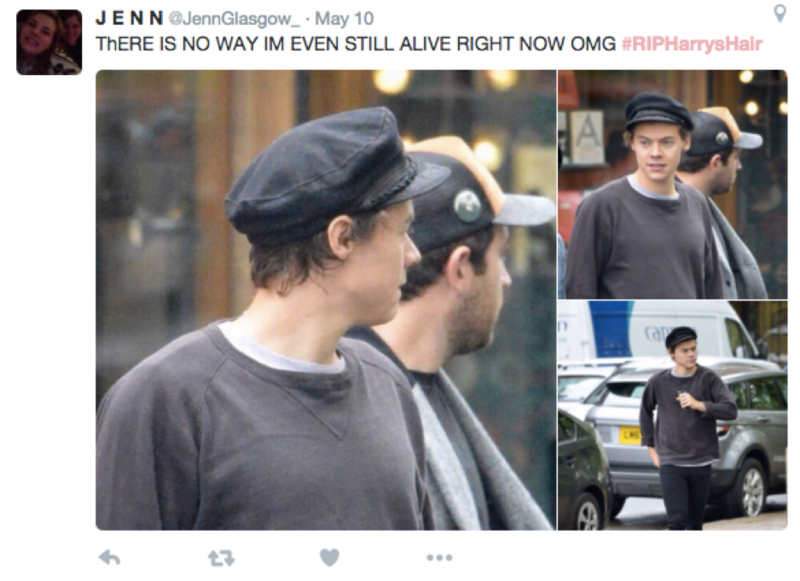 There was absolutely no control on Twitter and it even led to #RIPHarrysHair trending on Twitter. Just look at the following tweets by One Direction fans. When pictures of Harry Styles’ new hair length finally surfaced on the Internet, the trend continued on strong. Thankfully, we all made it out through the dark and unknown, happily and alive! Not only did his new hairdo look perfect, but more importantly, he had contributed to charity in the process. Yes, I said we. I am one of the guilty fans who contributed to the hype. Undeniably, many celebrities have amazing beauty and fashion sense. Also, they often have the money to help cater to their fashion needs and wants. Sometimes, their clothes are sponsored. Other times, they have their own make-up artists and hairstylists. 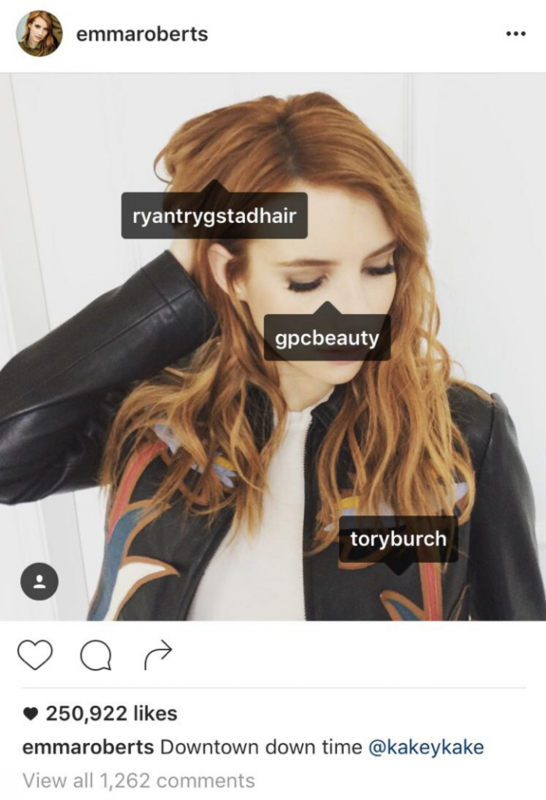 As a result, many of their Instagram posts have tags like these to show where their clothes and accessories are from and who did their hair and make up. Most people, on the other hand, do not have tags like these. For myself, I would imagine my tags to look somewhat like this. This is exactly why we do not tag our clothes – most of the places I get my clothes and accessories from do not even have an Instagram page anyway. 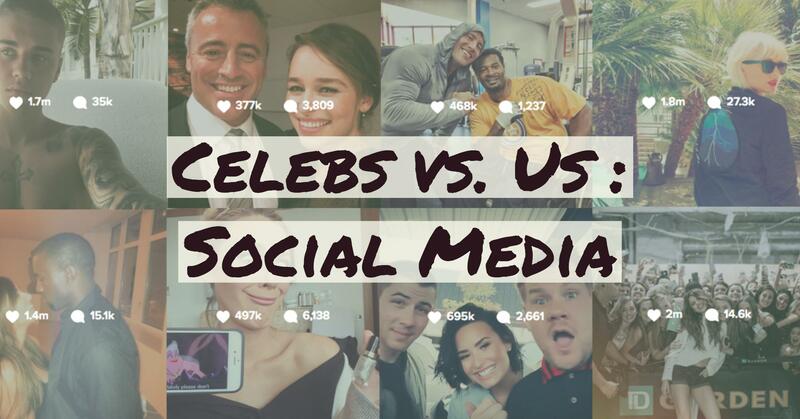 So there you have it, five ways in which celebrities use social media differently from ordinary people. Even though it may look like celebrities have the upper hand in this case, chin up! There are definitely perks you get that are what they long for when it comes to social media, like having privacy and not causing controversies with a single tweet. Everyone is a winner in the end.